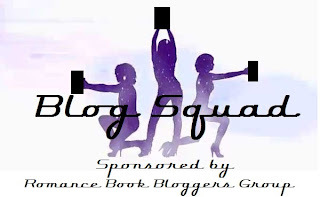 Blog Squad is sponsored by Romance book blogger group. 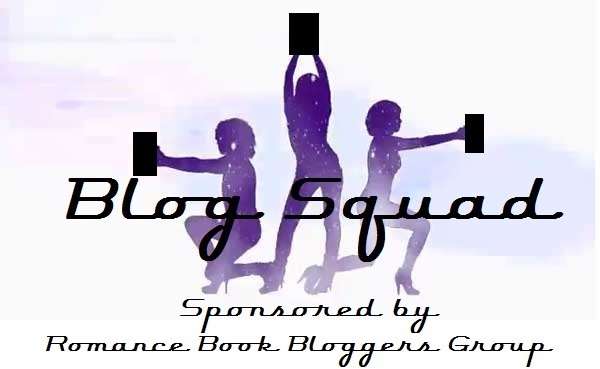 Blog Squad is a feature sponsored by a small group of bloggers on Facebook. What we do is rate and review authors websites. Some things we look for is a site that is up to date site and easy navigate etc. We do look at the design but it’s not our main objective, our main objective is to make sure readers get what they need from authors sites. This is also excellent for authors because if their site is not up to reader standards then it could be costing them money. So this is a win, win for everyone. The Blog Squad is not meant to tear down any authors, but to help them. I created this feature a few months back and found some other bloggers wanted to help out in our small group of romance bloggers. Sharon at I Smell Sheep came up our name and banner. I’m look forward to us helping readers and authors in this endear. Authors, how does your site stand up to readers? I am a She wolf pack leader on a mission: My mission is to hunt down any paranormal romance authors and make sure their website or blog are up to the wolf pack codes. I feel as a paranormal romance review blogger I need to make sure my readers are able to find authors’ websites up to date and in true working order. My goal isn’t to tear anyone down, I want to make authors aware that their websites are very important to all readers, and to make them aware the poor state of their internet reach could be losing them money. In doing this we all have to remember authors are very busy. Some work outside of the home, so as long as the website is up to date, all is well. If the author has a website and a blog, the blog doesn’t have to be updated each week. I would consider once a month a good rule here. Does the author have any warnings listed by the book? No, but as of now her books don’t need any. Dose the authors have their series in order and are it easy to understand? N/A, her books are standalones. Things I like about the site: Mina has a very nice blog style site. You can easily get around and find what you need. She pretty much has everything handy, like newsletter, buy buttons and add buttons. She also has a page for Djinn info. Any other remarks: Mina’s website shows new authors a way to have a site without costing them money. So to you new authors out there you don’t have an excuse for not having a website to showcase books. *Feature inspired by one of Caroledee’s rants, she posted on Facebook one day about authors not having websites or updating them. I just hope this feature will help not only the readers but authors too. Thanks for visiting my site! Definitely helpful feedback (note to self: Add free reads & mention genre...in a seamless way). Also, great concept & logo for Blog Squad!